This is a Plunge Router Attachment from Dremel. Plunge routing allows for a more precise, cleaner and easier start to routing operations. 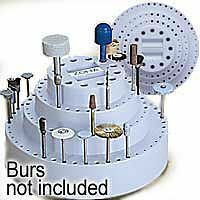 Fits Dremel tools 275, 285, 395 and 398. 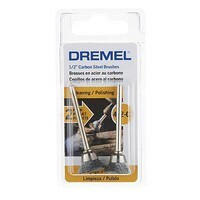 This Package Includes 5 of Dremel's 1-1/4" Cut-Off Wheels. This is a pair of 1/2" Dremel Carbon Steel Brushes. This is the 3/32 Diamond Cylinder Point (3/32 shank) by Dremel. This is a 1-1/4" Cut Off Wheel with Mandrel from Dubro. This is the 1/8 Router Bit Corner Rounding (1/8 shank) by Dremel. 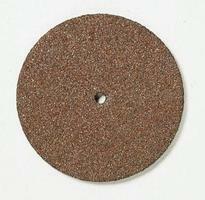 This Is Dremel's Chain Saw 3/16" Sharpening Stone Accessory Bit. This Carving/Engraving Accessory is a 1/8" High-Speed Cutter Bit by Dremel. 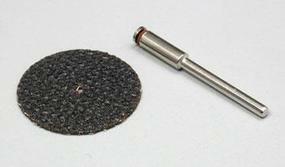 This Is Dremel's Diamond Wheel Accessory Bit. This is Dremel's 3/32" Tungsten Carbide Cutter Accessory Bit. This Carving/Engraving Accessory is a 7/32" High-Speed Cutter Bit by Dremel.